Hundred Years Gallery presents a group show by artists Chris Daly, Sisetta Zappone, Anna Burel and Paula Garcia Stone. The exhibition is organised by Jaime Valtierra, currently artist in residence at the space. “ENDS” brings together a collection of works concerned with the nature of contemporary image production and the exploration of the human body both from medical and artistic perspectives. 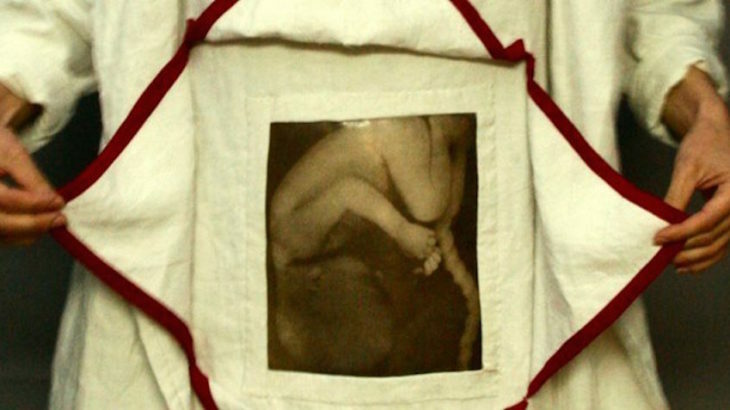 As part of the exhibition’s events programme, Isabel Davis (Birkbeck) and artist Anna Burel will introduce their project, Conceiving Histories. The exhibition can be found in the Basement and Ground Floor Gallery. For more information, please visit the gallery’s website. Events, News Birkbeck, medical humanities, pregnancy. permalink.